The faster your blast valves close, the less blast pressure and airborne toxins are introduced into your shelter. Our closing time is under 2 milliseconds (2/1,000th of a second) They feature dual stainless steel hemispherical valves that are much lighter than the flat steel plates used in other blast valves. This arched shape uses less steel to hold the blast pressure. These valves are connected by a stainless steel guide rod that rides in a machined bronze bushing. This corrosion resistant construction prevents rust from slowing the reaction time. 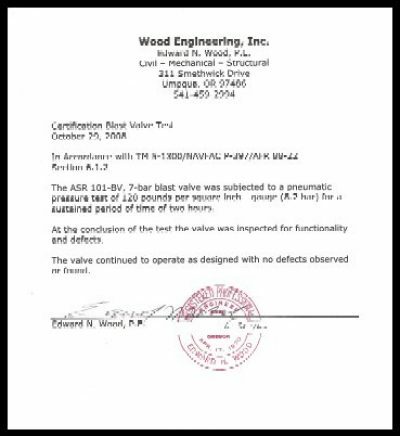 This is the professional engineer’s stamped certification of a static pressure test of these valves. The valves held the pressure for two hours. In an actual blast, the impulse of the pressure wave is much shorter than one second. Static pressure tests will return a lower pressure rating than a dynamic test because you take the variable of time out of the test. If a blast valve will hold 101 PSI for two hours, it will hold much more in a duration measured in milliseconds. 101 PSI is seven times the atmospheric pressure at sea level. 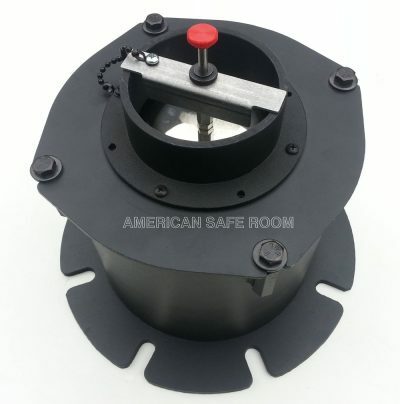 Our blast valves also feature a manual lock shut capability in case you have malicious people outside your shelter attempting to dump water, fuel, or smoke down your ventilation pipes. Another reason to shut down your vent pipes is if there is a structural fire right outside your shelter and you cannot get out. Just drop the tethered lock bar onto the shaft and tighten down the knurled washer. 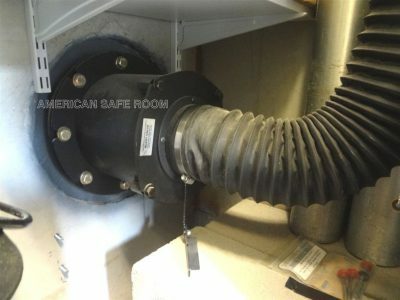 Your vent pipes are now secured. 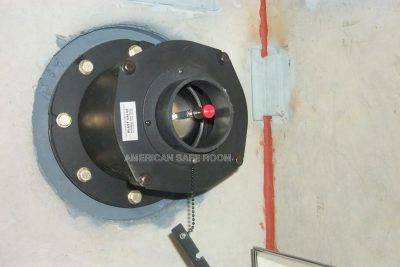 Blast valves are mounted inside a shelter right over the ventilation pipes. 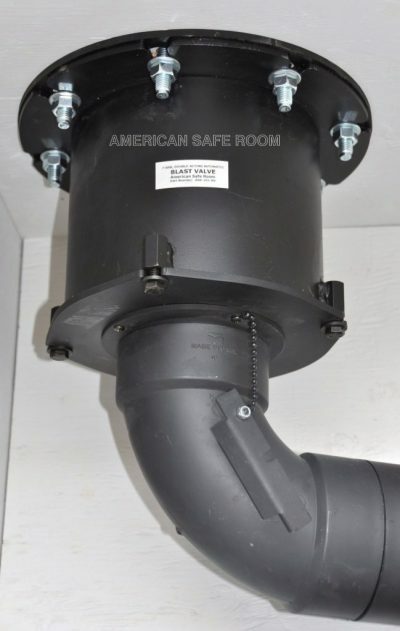 Our blast valves have the same mounting flange as our vent pipes and they can be bolted together in a steel shelter – as shown here, or bolted to either side of a wall or ceiling in a concrete shelter with a penetration pipe connecting them. 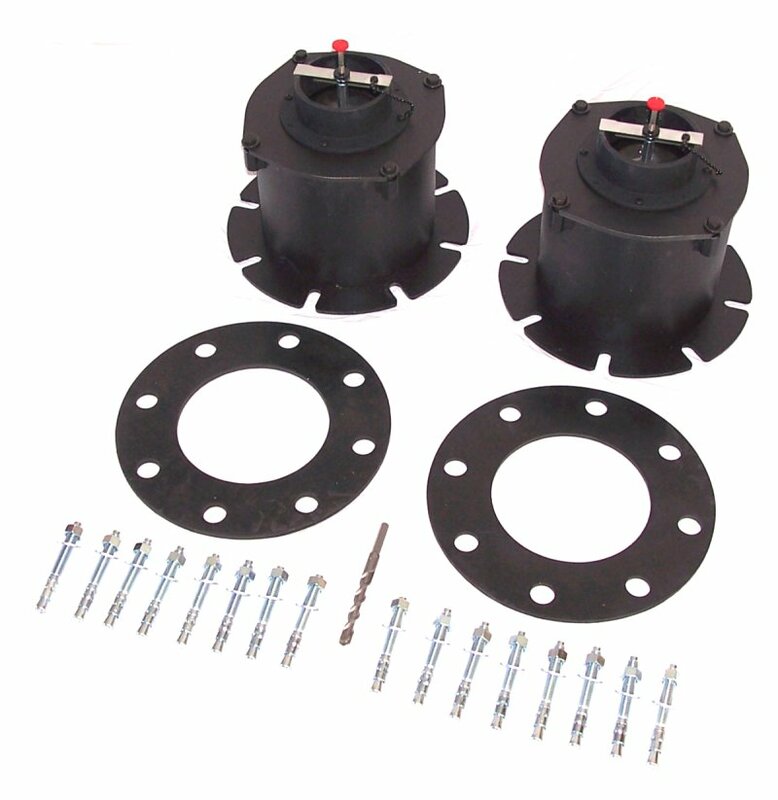 Included with every blast valve are the engineered fasteners and a heavy rubber gasket. As a high pressure wave from a nearby detonation passes over the shelter, the pressure travels down the pipes and into the shelter. If it is not stopped, it will destroy the air filtration equipment and injure the occupants. Directly behind this high pressure wave is negative pressure (less than atmospheric). The atmosphere is blown outward from the center of the detonation leaving a partial vacuum. This phase of the detonation can be as dangerous as the pressure wave. If you’ve seen footage of a nuclear bomb test, you’ve seen the trees blown one way, then the other. The first direction is away from the blast as the blast pressure hits the trees, the second is the partial vacuum phase where the atmosphere is sucked back toward the center of the detonation. Watch the dust at ground level move in two directions in this video. 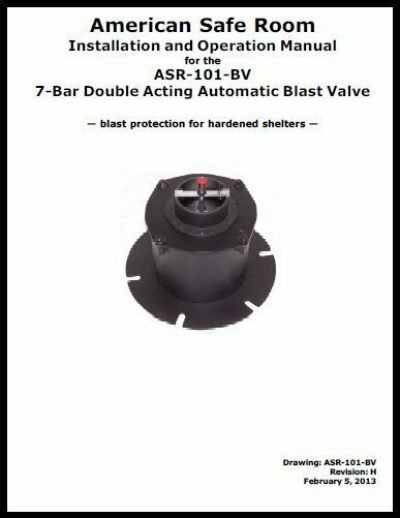 These blast valves automatically close for both positive pressure phase and negative pressure phase of a nearby detonation. When the outside air pressure returns to normal, the blast valve automatically returns to its normally open state. 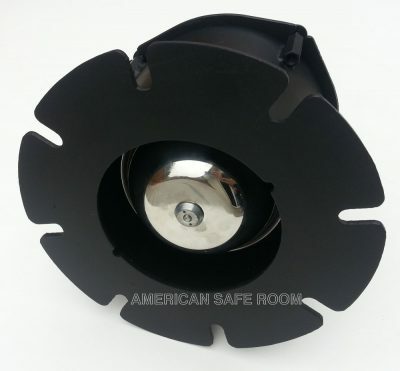 This allows to air flow into your Safe Cell and out of your exhaust port for normal operation, but will not allow a blast of high-pressure air to enter your shelter – and bring contaminants with it. A blast valve with an air intake hose from the Safe Cell attached and the manual locking bar tethered by its retention chain. This blast valve is mounted on the ceiling. They can also be mounted on a wall – the orientation does not matter. A blast valve with an overpressure valve mounted on it. The locking plate is not visible in this image. Unlike blast valves, the overpressure valve must be pointed at the floor. 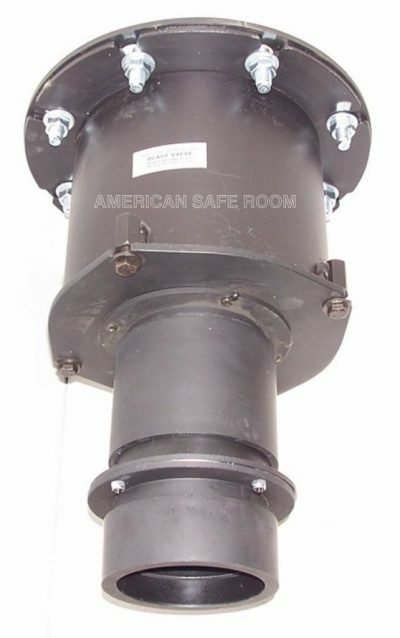 For this ceiling mounted blast valve, a straight adapter is used with the overpressure valve. 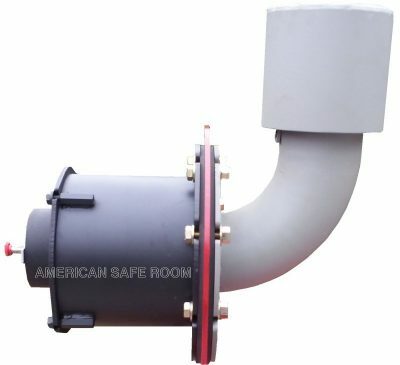 For wall mounted blast valves, a 90 degree adapter is used. The blast valve manual has complete installation instructions. 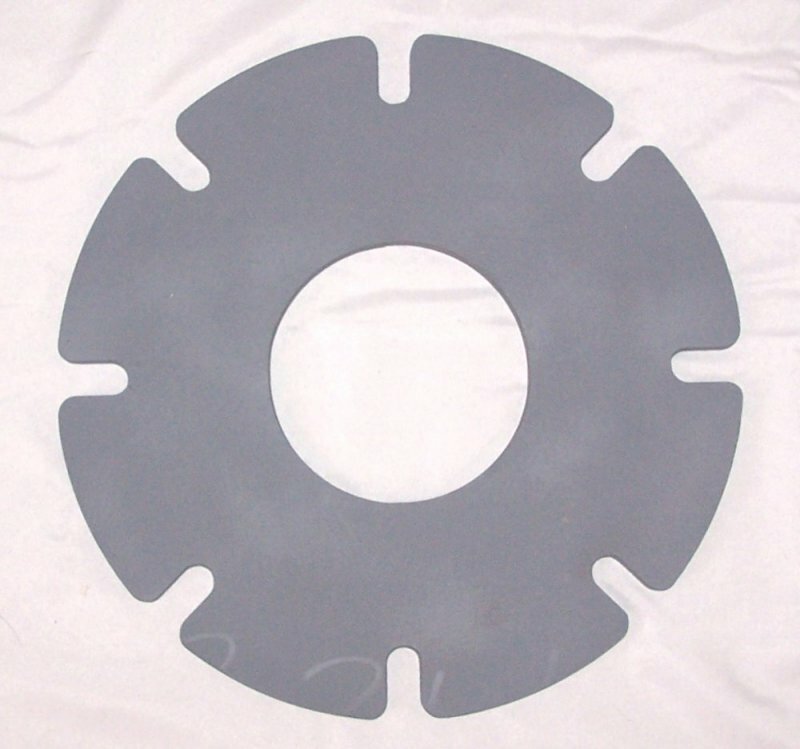 Also available are weld-on mounting flanges for the intake and outflow pipes. They are sized for 4 inch, schedule 40 steel pipe. 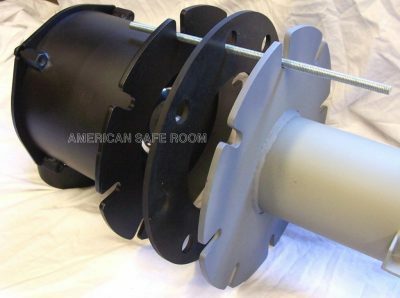 The vent pipe shown has the mounting flange welded onto it. The gasket and the blast valve are held in alignment with a piece of allthread for this picture. 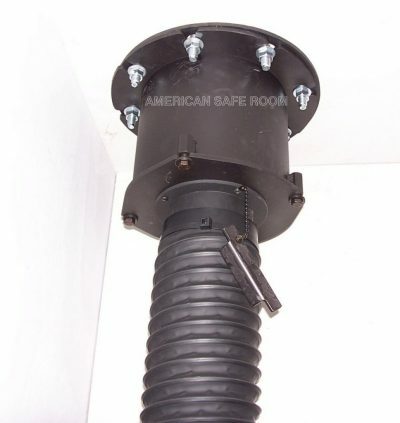 In this installation, the steel vent pipe penetrates at least two inches into the shelter. You cut a 4.5 inch hole in your shelter, stick the pipe through it and weld the pipe in place. Then this flange is welded onto the very end of the pipe. We substitute bolts, nuts, and washers for the concrete wedge anchors and the blast valves are bolted onto these flanges. 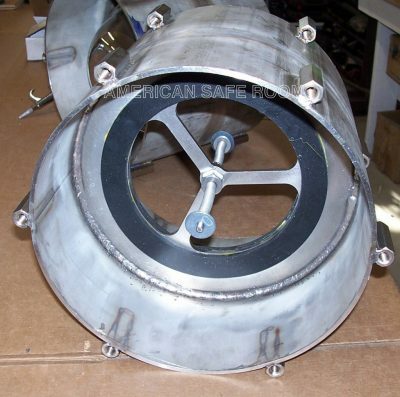 The gasket is sandwiched between the mounting flange of the blast valve and the the flange welded onto the pipe. The weld on flange is finished with primer. The cost is $35.00 each, plus shipping.